Surprise! The Rest of the Resort Collection is Fully Restocked!! | hi Sugarplum! Happy Friday, friends, and cheers to the weekend!! The teen and I are headed out for our final college road trip. He’s narrowed it down to two schools, so fingers crossed for clarity (and a decision!). Nothing like a May 1st deadline breathing down your neck to get the ball rolling! Any senior moms in the same boat?! I’m really looking forward to the one-on-one time with him, it’s been ages since it was just the two of us! 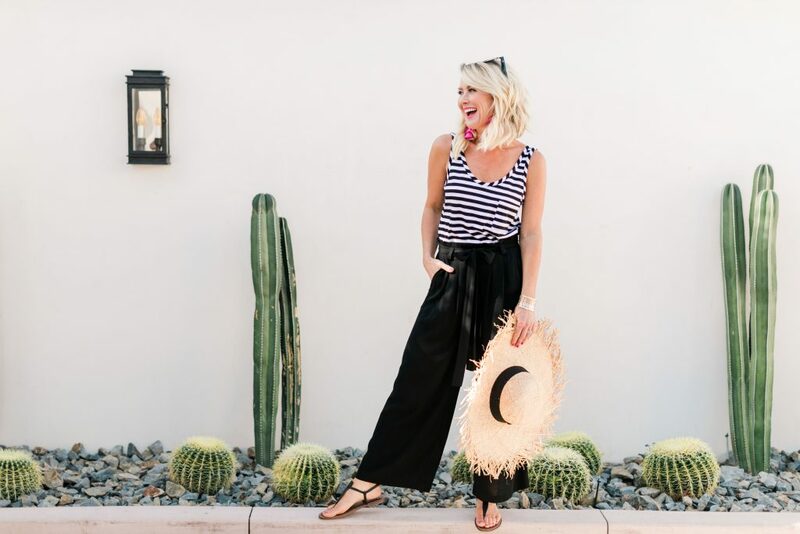 The surprise hit of the Collection…y’all went crazy for the gauzy Sedona Wide Leg Pants! 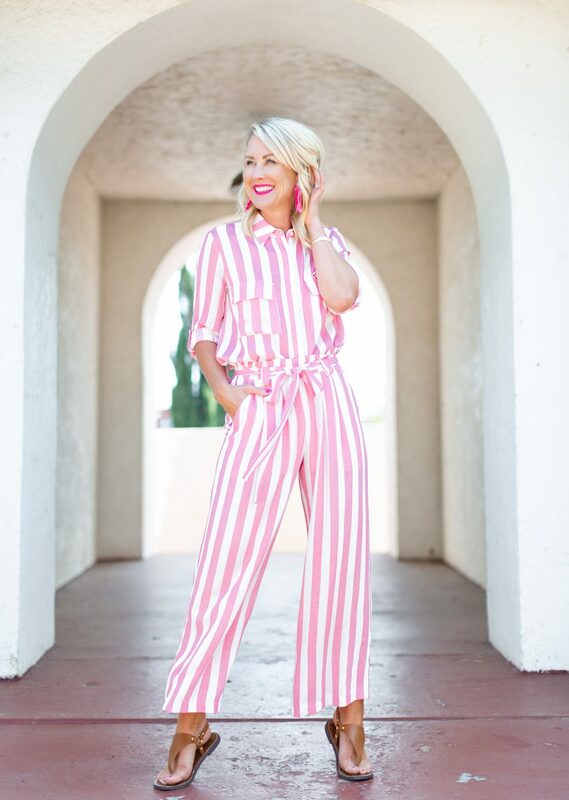 The paperbag waist, wide legs, and breezy fit…not to mention the stripes and pockets…made these an instant hit! 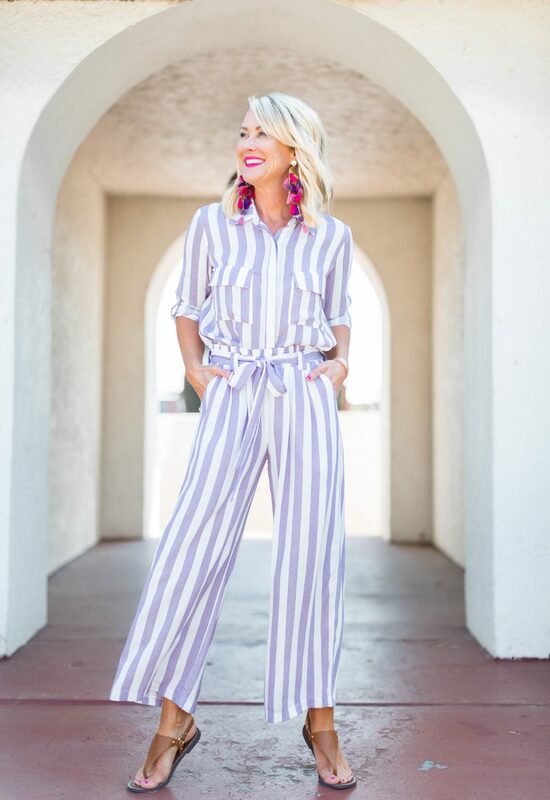 I’m so excited to introduce all new colors…pink stripe, lilac stripe, and navy. And of course, we brought back the solid black, too! 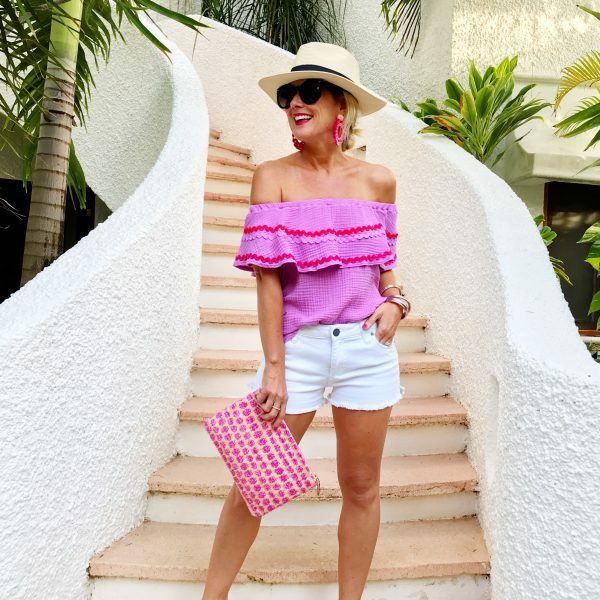 Pair them with one of our Summerland Pocket Tanks or Savannah Embroidered Tees, or style them with the matching Scottsdale Striped Tunic for a fun and chic set! Throw them on with your swimsuit too, for an unexpected cover-up option. Fit Tip: I’m wearing a regular XS in both pieces. 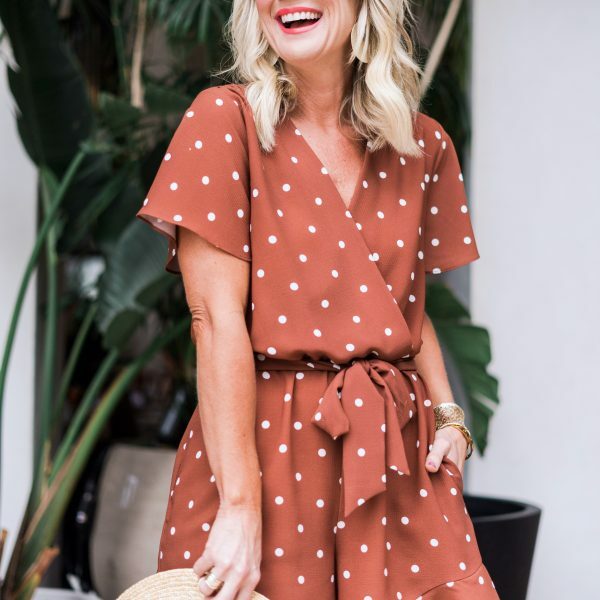 One of my favorite pieces, and classic addition to any wardrobe, the Scottsdale Tunic is breezy and oversized with a ton of styling options. 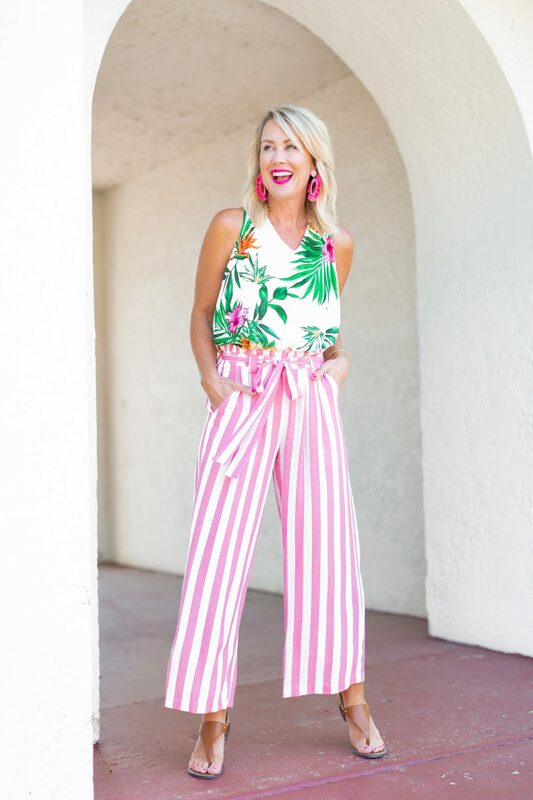 Wear it loose with jeans or shorts, tucked into the Sedona Wide-Leg Pool Pant, or open over a swimsuit for a chic cover-up. 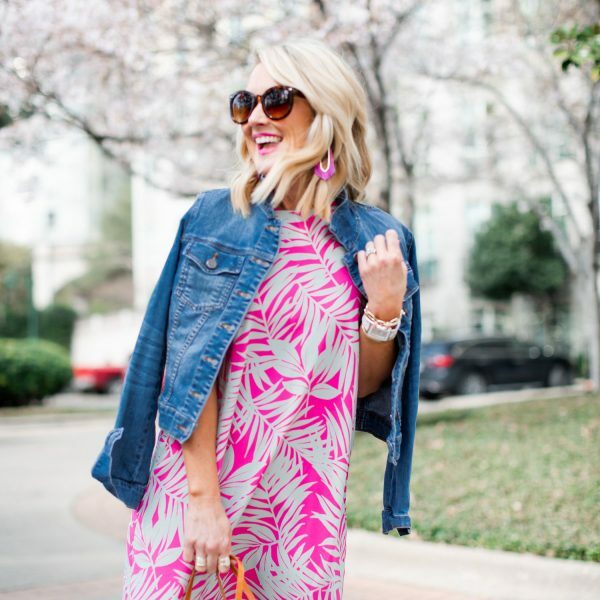 The roll-tab sleeves and flap pockets make it look so expensive and add even more style. This round offers a slightly wider stripe, in both the vibrant pink stripe and soft lilac stripe. Fit Tip: I’m wearing an XS, but it’s intended to be oversized and relaxed. The easiest pull-on shorts for Summer, the Cabo Pool Shorts are perfect for throwing on with Summerland Pocket Tanks or Savannah Embroidered Tees. Or my fave combo, worn with your favorite one-piece swimsuit as an easy pool or beach look. They are gauzy and soft, with a wide elastic waistband and functioning drawstring…and you know we had to add pockets! (But they aren’t bulky or show-thru.) 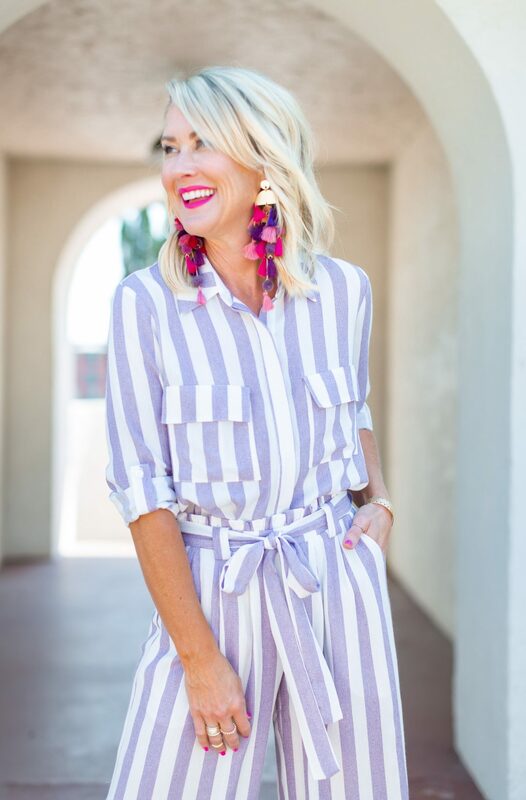 We fully-restocked them in black, plus added a fun bright coral, lilac stripe, and classic navy. Fit Tip: I’m wearing an XS, but if in-between I’d size up one. 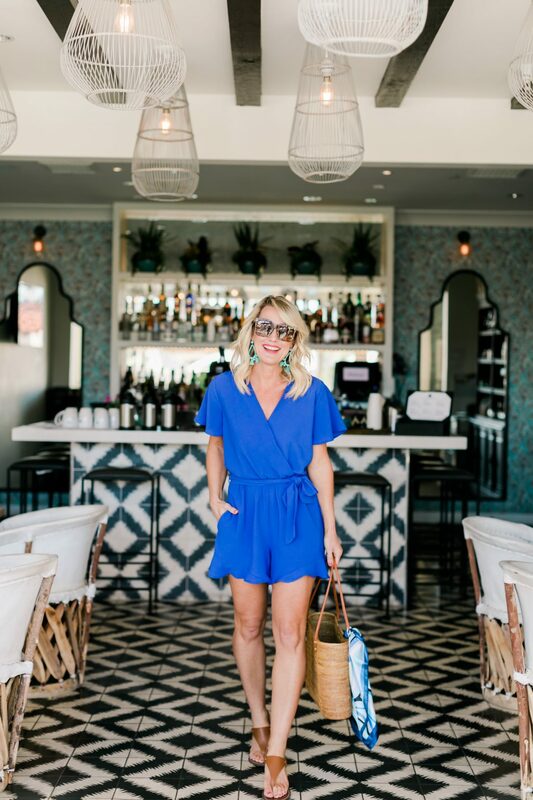 Did you catch that peek of ruffle tank earlier?! 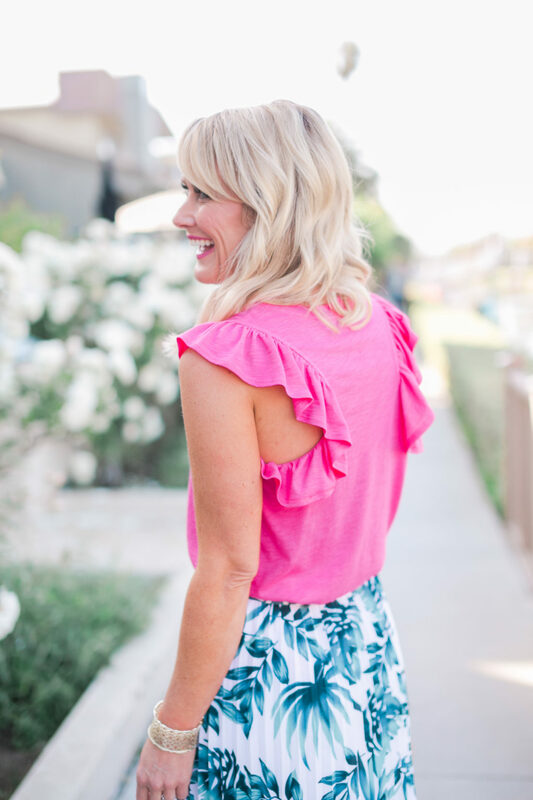 Yes ma’am…the Bonita Ruffle Back Tee from our very first Gibson x Hi Sugarplum Collection is back!!! It was an instant reader-favorite, and we’ve had tons of requests to bring it back! 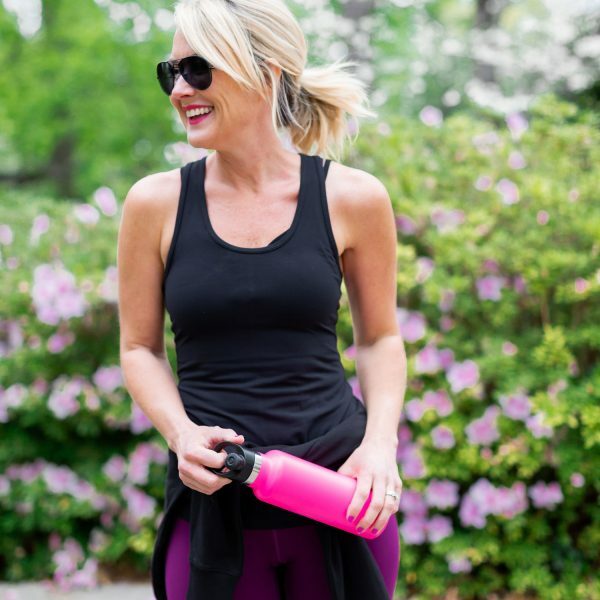 Everything you love in a basic Summer tank…lightweight and soft, with the perfect length…but with a flirty ruffle racerback! We’ve fully-restocked it in the original seven vibrant colors…AND added a fun black and white stripe! Fit Tip: I’m wearing an XS. It runs big, but since it’s cotton it will shrink a bit in the dryer. I could not be more excited to bring you more of our Resort Collection (see the full collection here), and can’t wait to hear what you think of the new colors and patterns! I’m also so completely overwhelmed by your support and enthusiasm, and can’t thank you enough. 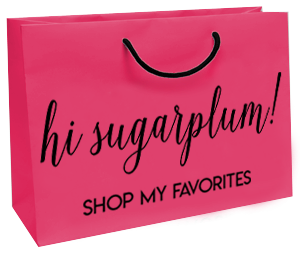 This Collection is a true labor of love, created with each of you in mind, and hope I they bring fun and joy to your closet! With all my heart, thank you, lovebugs!! previous article: GxHSP Resort Collection RESTOCKED! I got the wide leg pants in Navy but the other colors in my size are already sold out. Yikes! I just ordered three pieces from the collection. I can’t wait to receive them in the mail. Puts me in a lemonade, summery kind of mood! Enjoy your trip this weekend! Senior Mom here! When my son had narrowed down to two, we made one last trip to each as well! It definitely helped with his decision making process and my son came away knowing exactly where he wanted to be! For my son, he chose the one that felt the most friendly and where he could make a home away from home- it also happens to be the one farthest away, which we did not expect. Good luck and enjoy your precious time together! Thank you so much!! It’s been an amazing weekend! 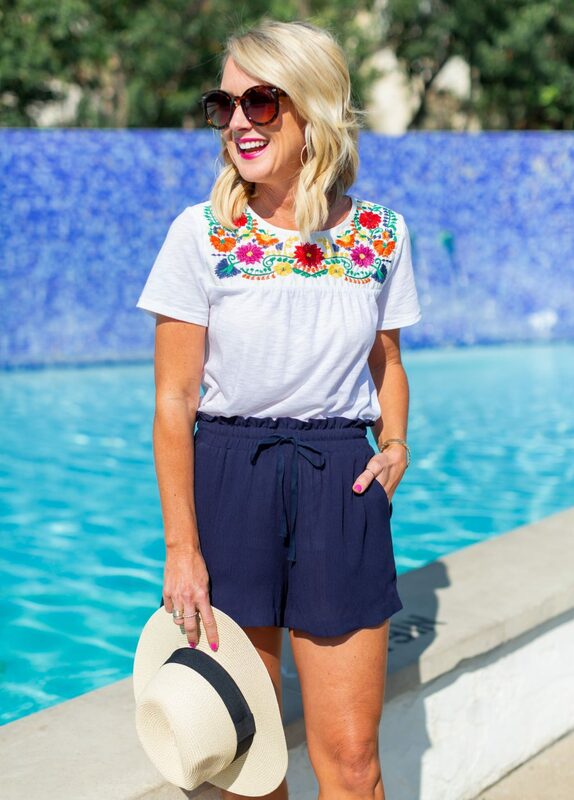 Beautiful quintessential summer looks. We need this! Tell “the Teen” there is more than one right choice for college. Which school can he really picture himself at? Plenty to do and see around campus and the area when he has some free time? Does it seem like a happy place? Is it fairly easy to get there, and for you to visit? Hope this helps. How was the broadway show, “The Prom?” I’m taking my 15 year to NYC in a couple of weeks and was wondering about it. We really really liked it…funny, great music and lots of dancing. The message is about tolerance was a good one, too! 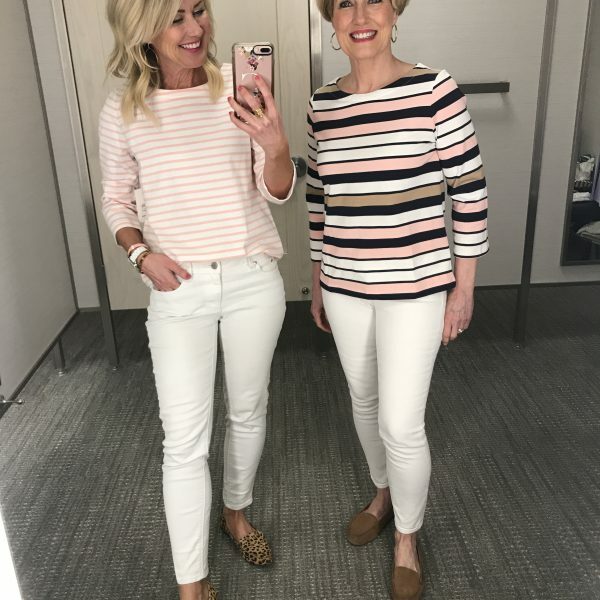 Senior mom in the same boat here! My daughter has narrowed it down to two very different schools! Totally different kinds of schools. One driving distance, one NOT! Guess which one mama’s rooting for! Doing one last college “admitted students day” next week and then it’s decision time!